Wellness and beyond aims to reach out to all those who understand the importance of body, mind and soul. It has often been proved that the source of many physical ailments stems from disturbed emotional states of mind. If one is able to harness positive energy and keep one’s emotional thoughts in check, the mental and physical body is evenly taken care of. This e magazine brings to you different ways and means to live a balanced and holistic life with one’s best abilities and opportunities. Various experts in the wellness field now share their experiences, simple but effective ways and means to have a strong body, mind and soul connect. Manju Mohinani Patil is the Founder of Celeste the Center, Mumbai. What began as a young person’s desire to help individuals transform the quality of their lives has grown into full time passion with opening of Celeste the Center helping you design the life of your dreams! Her only mission in life is to inspire people towards their own innate happiness by means of workshops, life coaching programs, divination tools, readings and myriad of services. She will look right into your soul and tell you what needs to be worked out in your life. Manju is also extremely intuitive and has a vast experience of working in the field of holistic and alternative healing. Learning from her personal experiences, she realized that changes in one’s life can only take place when you consciously work towards those changes. Recognizing her thought and behavior patterns, she turned her life right round. This was to be her inner calling. She went on to make a marked difference in the lives of others as well. Various clients have found her techniques and skills to have made a huge difference in their lives. They have successfully been able to convert many challenging circumstances of their lives to an asset and advantage. “I am a mere catalyst. I recognize the patterns of behavior and thought and bring them to the notice of my client. I help my clients to get in touch with themselves and bring to surface what they have embedded deep within. I help them to form their targets, make plans, and ultimately achieve their targets and well planned goals.” says Manju. Many clients who have had no aims or goals in life, have finally found their life path thanks to their interaction with Manju. 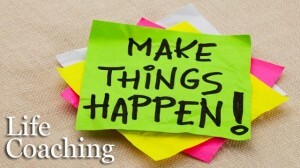 Manju understands that being a Life Coach brings on a great responsibility.. In her experience of over 10 years she has met many people who have desperately wanted a change in their lives but had no inkling how to go about making those changes. Working on a one to one personal basis with the use of visualization techniques, affirmations and other positive reinforcement skills her faith has restored balance to many lives. Her clients have the utmost faith and respect in her and it is her belief in them that has made them take a leap of faith which has turned their life 360 degrees. “Manju saw so much in me that I never believed existed within. I am grateful for the feeling of empowerment and confidence that she instilled in me. Today, I fear nothing and no one. I take full responsibility for what I do and don’t.”-Renuka (Artist). “I had such a low self esteem that I would not even be noticed in a group of 5 people. But with dedication and firm belief today I can stand in a crowd. Manju has helped me let go the past and inculcated many positive and strong qualities in me that now I feel complete and whole. Everybody has noticed the marked change within me.”- Anju (Homemaker). A maestro in her work, she has created her own niche wherein she uses her knowledge of various alternative fields as well that make the overall journey pleasant and so positive. Manju connected very strongly to Angels many years ago. Through her Angel Card Readings she connects with Angels to give messages and directions to her clients in all walks of life. Manju learnt Reiki followed by I-Ching and became a successful healer and an I-Ching Master. Her thirst for knowledge made her spread her wings further to learn Tarot. 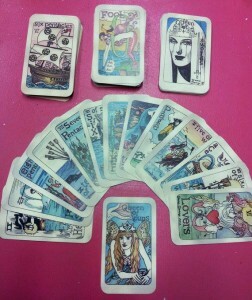 Today she is a special Tarot reader reading not only the basic Rider Waite pack but other ancient cards not been read before. Manju has been interviewed by various newspapers like the Times of India and DNA to name a few with respect to her skills as a practicing Angel and Tarot Card Reader. She has also been interviewed to talk about spirits and ghosts. Her story has been chosen and adapted for one of the episodes of Mano ya na Mano where an actor essays her role. Besides being a successful life coach, Manju besides her Tarot and Angel Readings, she also conducts special workshops on a myriad of subjects- tarot reading crystal healing, sound meditation to name a few. She wishes to impart the knowledge that she has to others through various mediums. She is of the belief that there is nothing to stop soul work and soul progression in the positive if one’s mind is made up. The only person who can stop you from being successful is yourself. “That’s exactly where I come in their lives. To make a difference and make them all winners.” she ends. Look deeply in her eyes and you can see the experience reflect there. Her clients range from executives, businessmen and women, housewives, life coaches, artists, teenagers and corporate groups. She along with Rohini Gupta a writer and maestro in occult sciences herself culminated into the organization of numerous successful psychic fairs in the past under the banner of Yantra which were a great success, often mentioned in many newspapers and the envy of many. 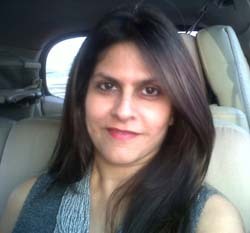 She along with Rohini Gupta has given many interviews and has appeared in leading magazines and newspapers for the same. I trust that this website will find its way to those who are ready for transformation of their life situation and so act as a catalyst for it.